Fresh mixed berries can be used instead of frozen. Or use one fruit instead of a combination, such as blueberries with blueberry yogurt. 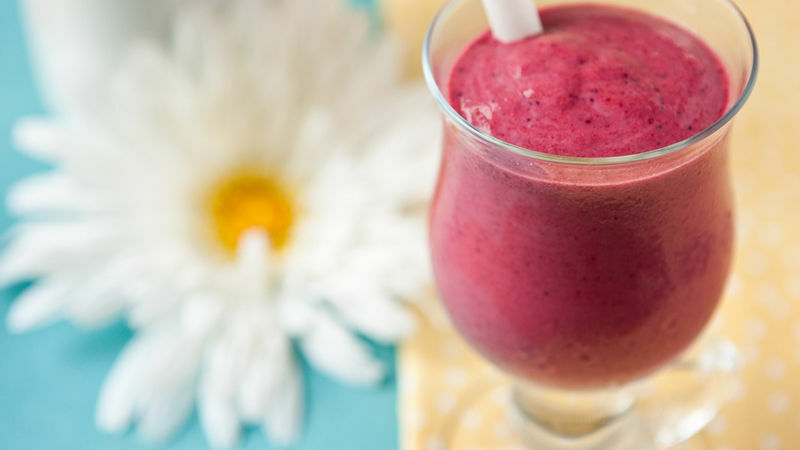 To make a thinner smoothie, increase milk to 1/2 cup.